Customer: "How much is that"? Clerk: "Why do you ask?" Customer: "So I can determine whether or not I can afford it." Clerk: "If you have to ask, then you can't ...."
In point of fact, the sale of luxury brands is a lot more nuanced than that. The Economist captured well the tension around modern luxury brands in a piece published last December entitled "Exclusivity for everybody." The truth today is that the question "how much is that?" is now part and parcel of the dynamics of luxury goods. Price matters. As such, factors that can systemically affect prices bear close attention, especially when they becomes intertwined with exchange rates and changes of central bank policy. One need only consider the recent events that have taken place in rich, expensive Switzerland. Many readers probably noticed the January 15 announcement that the Swiss National Bank (SNB) would no longer maintain a fixed cap between the Swiss franc and the euro. This cap, which had been in operation for several years, had the effect of keeping the Swiss franc artificially low versus the euro, but maintaining required intervention by the SNB, so when euro began declining in value, the cost of intervention became impracticable. Without warning (indeed, contrary to pronouncements by the SNB a few days before), the cap was removed; almost immediately thereafter, the Swiss franc appreciated nearly 30% versus the euro. For this bloggers' friends working for various international agencies in Geneva, but who lived just across the border in France, the result was they suddenly had 30% more euros to spend for each Swiss franc that they received in wages. How did all of this impact on the luxury goods business in Switzerland? As described in an article in the January 24 issue of The Economist, entitled "Switzerland's economy: Shaken, not stirred" and with a byline from Geneva, the answer depends upon what kind of goods we are talking about. Let's focus on perhaps Switzerland's leading consumer export product--watches. The chief executive of Swatch, characterized as the "world's biggest watchmaker", lamented that the impact was simply to make their exported products much more expensive. 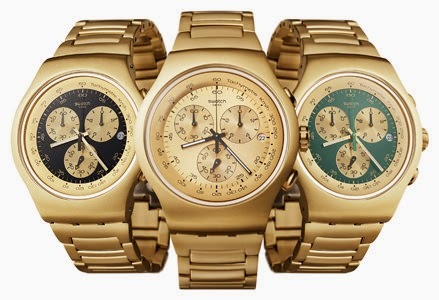 Unlike the customer in the iconic dialogue above, price is important for Swatch products and the appreciation of the Swiss franc might significantly affect sales abroad of Swatch watches, leaving the company with two unpalatable choices. Reduce the price to customers, hoping to increase sales volume at the expense of per unit profit, or maintain the price and hope that enough units are still sold to maintain profitability. But it can be argued that a Swatch watch is not exactly a luxury brand. What about those Swiss watches that regularly appear on full-page glossy advertisements and constitute more of an aspirational good? For the denizens of Geneva, the appreciation of the euro should not make much difference, since the local price remains denominated in Swiss francs. "If you have to ask, then you can't"-- applies in equal measure, both before and after appreciation. But as anyone who has strolled the streets of Geneva will know, the retail watch trade depends to an significant degree on the tourist purchaser. Woe to him, especially if he comes armed with depreciated euros to buy a luxury Swiss watch denominated in Swiss francs. Sales to tourists may well plummet unless some repricing takes place. Indeed, something like this seems to be happening, where it is reported that "expensive watch brands are offering hefty discounts." How about the luxury product that originates from a euro zone country and is then sold into Switzerland? 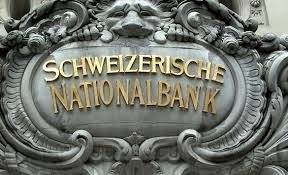 After all, each Swiss franc should go a lot further in buying such a luxury product that is euro denominated. It comes as no surprise, therefore, that it is reported that Mercedes-Benz Switzerland has announced a discount of 18% on the price of all models. The upshot is that in a world where sharp currency fluctuations can significantly impact on the prices of products, luxury goods are not spared. "Exclusivity for everybody" now runs up against "how much is that? ", and the answer to that question may well then determine whether a purchase will be made.